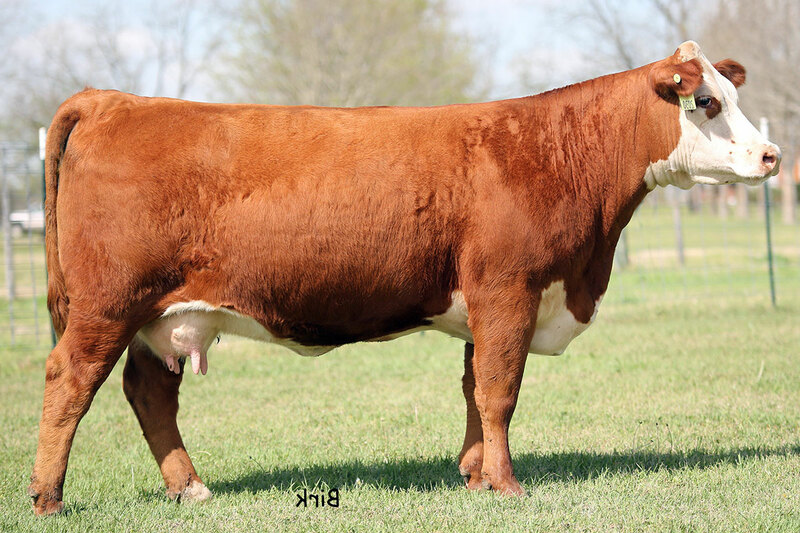 We selected this Dam of Distinction from Mead Cattle Enterprises in Midville, GA. She brings more of the same characteristics of a good brood cow as the others that have qualified for our donor team. In addition, she brings some extra pigment along with moderate size and the growth numbers that come from her sire Trust 10W will blend well with the sires she is being flushed to including Mr. Maternal, NJW Lux, and CCR 719 Catapult 109. Owned with Empty Pockets, Lawrenceburg, TN.